A Calgary man with a thirst for adventure is preparing for yet another epic expedition, this time to Antarctica and all alone. UPDATE Dec. 7, 2018: Laval St. Germain has ended his South Pole expedition because his sled had warped. He still plans to climb Antarctica's highest peak, Mount Vinson. A Calgary man with a thirst for adventure is preparing for yet another epic expedition, this time to Antarctica, and all alone. 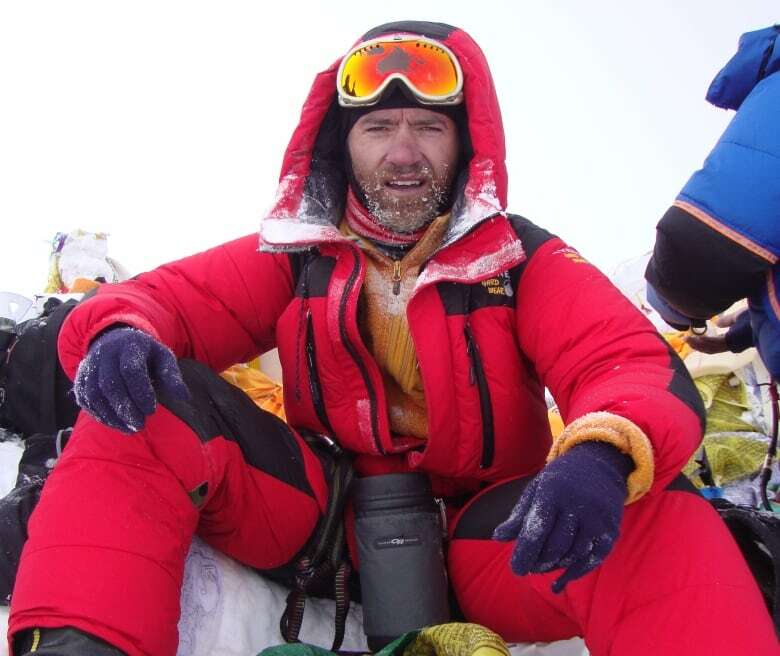 If Laval St. Germain can complete his planned climb up Mount Vinson, he'll have reached the summit on the tallest peak on each continent in the world, he says. 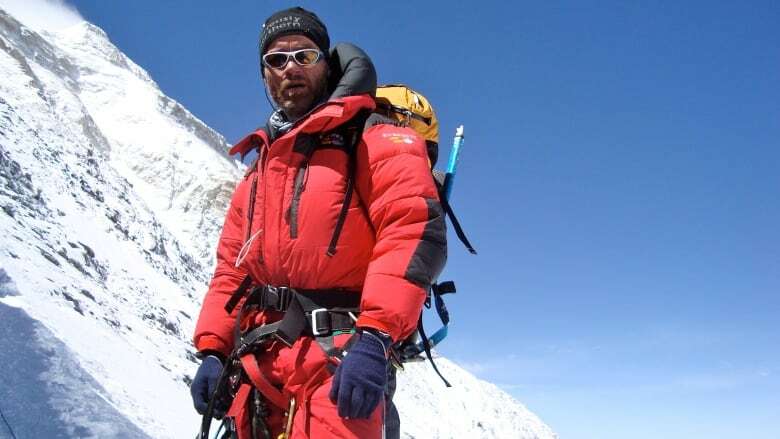 He made it to the top of Mount Everest — and to his knowledge, as the only Canadian to do so without oxygen support. He's also paddled across the Atlantic Ocean, in part as a testament to his son, who died in a canoeing accident in northern Canada. This months-long solo journey will be different, he told the Calgary Eyeopener on Wednesday. "I've always done these trips and it's been a bit selfish. I come back with great stories, I come back with scars, and I come back with great video and photos," said St. Germain, who's a pilot by trade. "But I didn't give back. I didn't think I was giving back to anybody and making a difference." He's trying to raise money for the Alberta Cancer Foundation in honour of close family members, friends and colleagues who've either died from or been diagnosed with the illness. He tried to raise $200,000 for the charity during his 2016 Halifax-Europe ocean paddle but came up short. "I like to say I reached my goal of France but I failed miserably at my goal of raising money for cancer," St. Germain said. "I only raised $60,000, so I'm calling this trip 'unfinished business.'" This trip will involve pulling about 110 kilograms of gear on a sled over rough ice and terrain for roughly 1,300 kilometres during an expected 45 days — before climbing the mountain's 4,852-metre peak. He'll start in November, when it's technically "summer" in Antarctica, meaning temperatures may reach a warm –28 C. Typically, he said, he'll see –45 C.
"And it's one of the windiest places on Earth. So you combine that with the windchill, it'll be cold," St. Germain said. Antarctica is quite different from the landscape of the north, with which many Canadians are familiar, he pointed out. The climate of the Arctic is moderated by the ocean — "unfortunately, not frozen all the time nowadays," while much of Antarctica sits well above sea level on land and ice. That makes the southern climate very cold and dry, he said. He also plans to do the journey completely alone and will bring all the food he'll need. There will be a Calgary company he can call should he need rescue, he said, but he expects to make it the whole way regardless. Until he takes off in November, he'll be physically preparing. "You've got to have good cardiovascular fitness but as well you have to have the musculature to pull a heavy, heavy sled like that," he said. "It's something I do all year round. I stay in shape." The journey is part of St. Germain's goal to complete the so-called explorers' grand slam, which means completing all seven of the highest mountain peaks on each continent, as well as full-length expeditions to both the North and South Poles. When he returns from the Antarctica trip, St. Germain plans to spend time with his 16-year-old son, Eric, his one child who still lives at home. He also expects that in his post-trip time, he may end up pursuing yet another adventure. "There's a list of wild places in the world — wild, empty, tough places — that I want to go to, so it's never-ending."